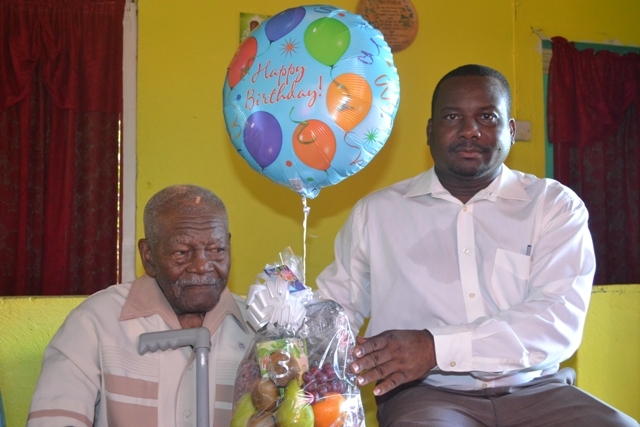 NIA CHARLESTOWN NEVIS (OCTOBER 16, 2015) — Permanent Secretary in the Ministry of Social Services Keith Glasgow, congratulated Mr. William Douglas of Butlers Village for his 101 birthday and urged him to keep batting even after scoring his century. Glasgow, was at the time delivering brief remarks at a brief but significant ceremony at the celebrant’s home on October 08, 2015. Mr. Glasgow continued his discourse on research done to discover the secrets of long life and suggested that local researchers might want to find out from Mr. Douglas the secret of longevity. The Permanent Secretary also mentioned that the Nevis Island Administration (NIA) is always happy to celebrate with seniors and to congratulate them on the contribution they made towards the development of Nevis. Meantime, two of Mr. Douglas’ children present at the birthday celebration. 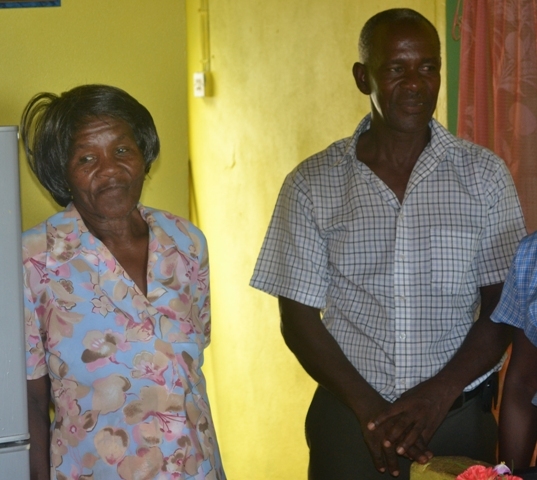 His eldest Sylvia Liburd said it was two years since she had given up her job to care for their father. The youngest child James Douglas described his father as being a hero who continues to be healthy except for the occasional poor circulation in the leg. He also mentioned that whenever their Dad was questioned on his longevity, his response would always be it was based on his diet of fish and ground provisions and a satisfied mind.